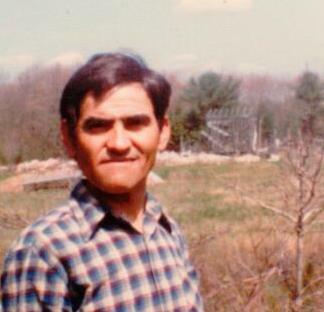 David Cosme 85 of New Bedford, passed away Wednesday August 15, 2018, at home. He was the son of the late Manuel J. and Dominga (Ramos) Cosme. He was born in New Bedford and spent his entire life here. David was an independent man who loved to work with his hands, especially his true love of growing his fruits and vegetables, and traveling with his brother Zach around the country, by bus or by bicycle, even though they were both legally blind. He had the ability to remember dates, names, places, and events throughout his 85 years and more, you just had to ask him a question. David is predeceased by his brother Samson Cosme, his sisters, Sarah Cosme, Evelina Cosme, his brother, Zacharias Cosme; his aunt Charolette "Lottie" Rivera and his great nephew, Mar-Quest Olin Ganeto. In accordance with his wishes there will be no visitation and he will be cremated.